William Kaplan came to UIC in 1966 after having played bassoon for eight years with the symphony orchestras of Denver and Detroit. He was trained in music at the Juilliard School, University of Chicago, and University of Michigan. 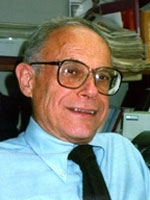 During his years at UIC he has taught courses in theory, counterpoint, analytic techniques, ear training, music literature, and music appreciation. Prior to the reorganization that brought Music and Theatre together into a single academic unit, he had been head of UIC’s Music Department from 1979 to 1992. Mr. Kaplan recently completed 25 years as bassoonist with Chicago’s Music of the Baroque.